PAX East 2017 is next week. Though the event is not typically considered a safe haven for a diverse audience of gamers, over the years its programming has expanded to include not only the Diversity Lounge but speakers and panels about LGBT+, PoC, atheism, ageism, and more. As evidence, you need look no further than this podcast, which was launched following a PAX East panel on sexism in gaming. Since then, several episodes of Polygamer have featured speakers first seen on PAX East panels, such as Charles Battersby and Tatjana Vejnovic. There are plenty of open-minded, supportive, encouraging, diverse people and panels at PAX — and I’d like to continue counting myself among them. Colleges are preparing students for a career in game development and design — but how closely does the classroom match the reality? Are the next generation of creators being given the skills and opportunities they need? We’ll hear from several recent graduates about the reality of their first years in the industry and what they wish they’d known. What do you need to know to make it as a games journalist? What pitches do editors love to get, and what tropes have been done to death? Whether you’re helping consumers make informed purchasing decisions, unearthing the history of a franchise, or critiquing video games as art, you have to convey a lot of meaning in just a few words before the reader clicks away. 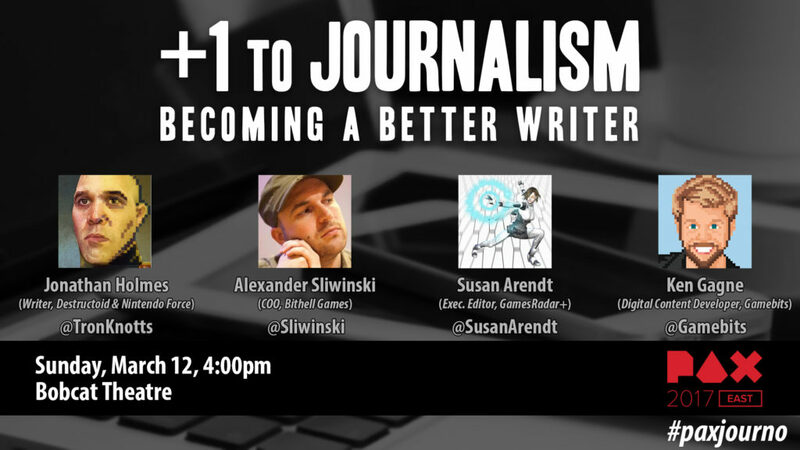 Come hear veteran writers and editors share the best in games journalism and our own mistakes we’ve made along the way. Although my lineup this year may not directly address matters of diversity, there’ll be diversity on stage. I long ago signed a pledge to diversify my panel lineups — but that wasn’t hard to do, since alumni of Polygamer were quick to sign up, including Sarah Como, Francesca Carletto-Leon, and Susan Arendt. If you’re attending PAX East, I hope to see you in the audience! 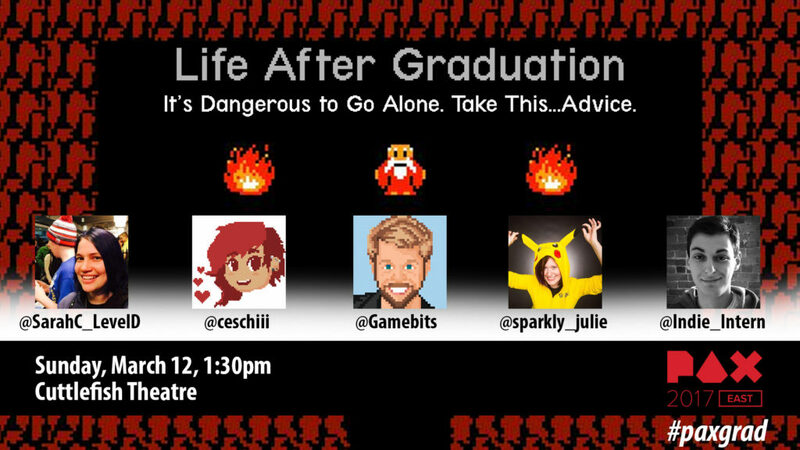 We’ll be using the hashtags #paxgrad & #paxjourno, respectively, so feel free to follow along, wherever you are. Be sure to say hello afterward, and subscribe to this podcast for audio and video from these panels!